'Absolutely flawless performance by flutist Anne Sheedy. She deserved the standing ovation and loud bravos.' – New Jersey Sunday Supplement to the New York Times. 'Hauntingly beautiful sound - brilliant and thoughtful musical conversation' – San Francisco Examiner. Preparing Wind Players for Regional, National, and International Competition. "Anne Sheedy is that rare artist who is as gifted and creative as an educator as she is as a musician. Her capacity to draw new listeners inside the experience of complex music, to open up the pleasures of classical music (and other kinds of music) to those with no musical background, is inspiring to me and to the burgeoning field of teaching artists of which she is one of this nation's finest. The skill is one of heart, and Anne's is big and adept enough to invite in anyone and help them discover their artistic birthright." -- Eric Booth, faculty of Juilliard and The Kennedy Center, Editor of the Teaching Artist Journal. Anne Sheedy is a gifted concert and commercial flutist who brings passion and insight to everything she does, whether on the stage, in the recording studio, conducting a clinic or workshop or while keeping vigil at the bedsides of the dying. Her additional work as a professional scribe/calligrapher has earned her a loyal, international following in two art forms. Daughter of famed San Francisco Dixieland Jazz Band leader, Jack Sheedy, her earliest musical influences included the steady guidance and encouragement of two of her father’s original band members, Norman Bates and Paul Desmond. Her career as a concert musician began at the age of 15 in Rome, Italy while studying with Severino Gazzelloni in his Corso Straordinario di Flauto at L’Accademia di Musica di Santa Cecilia. Upon graduation with honors, Anne continued her studies in New York City as the winner of several fellowships and grants to study with flutists Samuel Baron, Harold Bennett, and Julius Baker. She also studied with Keith Underwood and Thomas Nyfenger at Yale University. 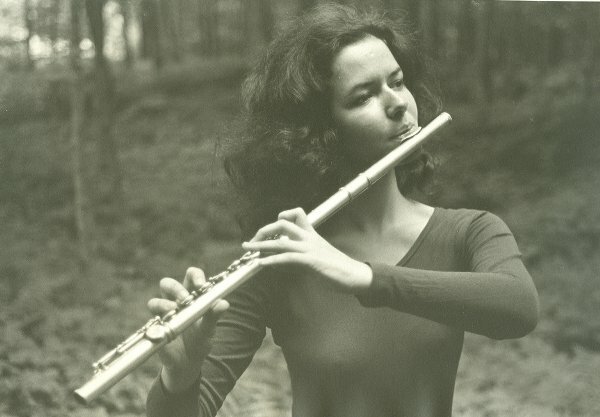 Anne first performed at Carnegie Hall at the age of 19 and continued to appear there, at Alice Tully Hall in Lincoln Center, and at the Kennedy Center in Washington, DC for over 20 years as a soloist and Principal Flutist of resident chamber groups and orchestras. She has toured throughout the US, Canada, Japan and Europe. 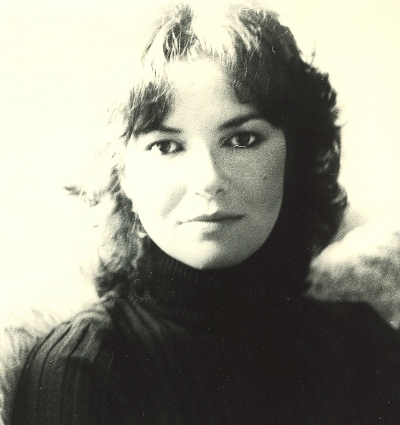 Ms. Sheedy was presented in live and televised recitals in New York City and Los Angeles through the auspices of the Concert Artists Guild for fifteen years. As a chamber musician she has performed with YoYo Ma, Oscar Shumsky, members of the Emerson Quartet, Ariel Bybee, and many other world renowned musicians and singers. She is a founding member and soloist with Camerata di Colombaia, Florence, Italy; Principal Flute of the NYC Bach Performers Guild; and Principal Flute of the Great Plains Music Society and Great Plains Chamber Winds, in Lincoln, Nebraska. She is listed as a touring artist with both the Mid-America Artists Alliance and the Nebraska Arts Council. She plays a rare, one-of-a-kind, handmade 14K gold flute for her concert and chamber music work. Her commercial work as a studio musician in New York City began when she was in her early 20’s, working for some of the most demanding contractors and composers in the business, earning the nickname “one take Sheedy”. Some of her earliest work can be heard on the Star Wars Christmas album and in countless film scores and commercials. She has worked closely with Broadway composers Alan Menken and Maury Yeston and with performers Jon Bon Jovi, Odetta, and many others. Her film work onscreen includes a scene with Gilda Radner in The Last Detail and as Maxmillian Schell’s piccolo playing nightmare in a German avant garde film. Some of her favorite unusual performance venues over the years have included maximum security prisons, luxury cruise ships, 12 hour solstice ceremonies for the Jung Society in NYC, and as the opening act for noted lecturer and mythologist, Joseph Campbell. Ms. Sheedy continues to play studio and commercial music and maintains her musician union memberships in both NYC and Lincoln, NE. She plays a dark wood handmade Celtic flute as well as several other hand made flutes for her commercial work. From an early age, Anne has taught and coached young flutists to compete to win local and regional contests, as she did as a young flute player in San Francisco. Her students are known for their strong clear sounds and for their positive approach to the flute and to music. She has taught and coached all levels and ages. From rural Midwest marching band flute sectionals, to the young elite at Juilliard in NYC, Anne’s strategies and enthusiasm in helping to create winners is well known and respected by other teachers. Ms. Sheedy is a Teaching Artist with the University of Nebraska in Lincoln and a contributor to the Teaching Artist Journal, endorsed by the Lincoln Center Institute in NYC. From the earliest days of Ms. Sheedy’s very active performing career, she has spent time performing in hospitals, rehabilitation centers and nursing homes throughout the US, Canada, Japan, and Europe. Often it is after those performances that she does her most dedicated work, visiting with the sickest of the sick. Anne has also played and visited in pediatric wards, intensive care units, and hospice environments. She is dedicated to the work of offering peace, comfort, and healing through music. In 2004, Anne Sheedy was invited to become Artist in Residence at an assisted and independent living and hospice care center in Lincoln, Nebraska. This is, she feels, some of her most important work to date. Technical Requirements: Vary depending on the musicians performing with Anne. Please contact Anne for specific details. Fees: Negotiable fees: $2,000-3,000. The amount is determined by how many other musicians are performing with Anne. Workshops are available for an additional, negotiable fee.